Hey, I got a few awesome things to giveaway from the folks at Simon & Schuster. One winner will get a finished copy of Clockwork Angel, a poster, and a notebook like in the book. 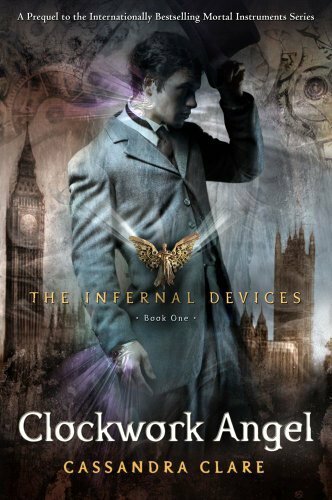 The other winner will get a finished copy of Clockwork Angel and a poster. This contest is open till October 7th and is international. Just fill out the form below. This is a really great contest! The notebook sounds super cool :) Thanks! thanks for the chance to read this.